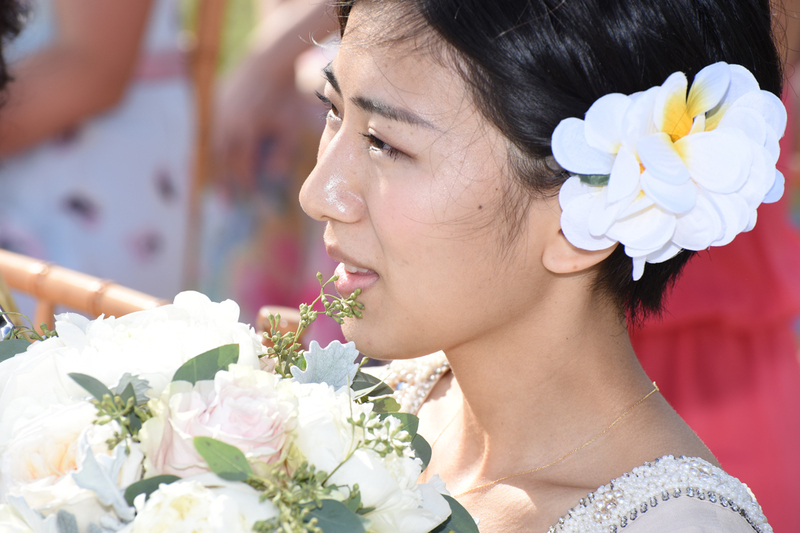 Bride's lovely little sister with a petite face is very cute! 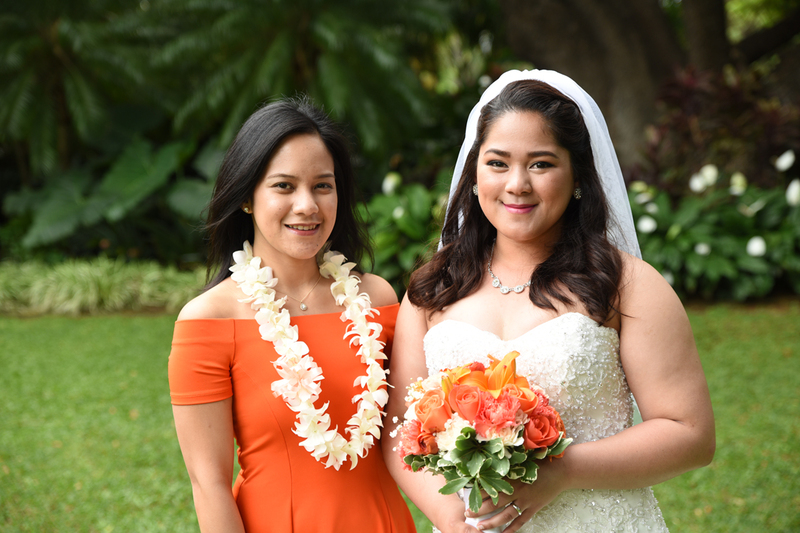 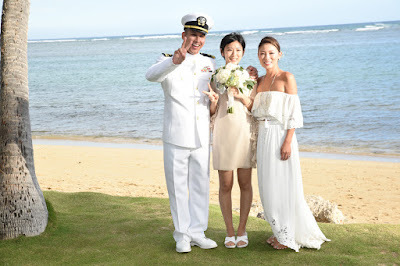 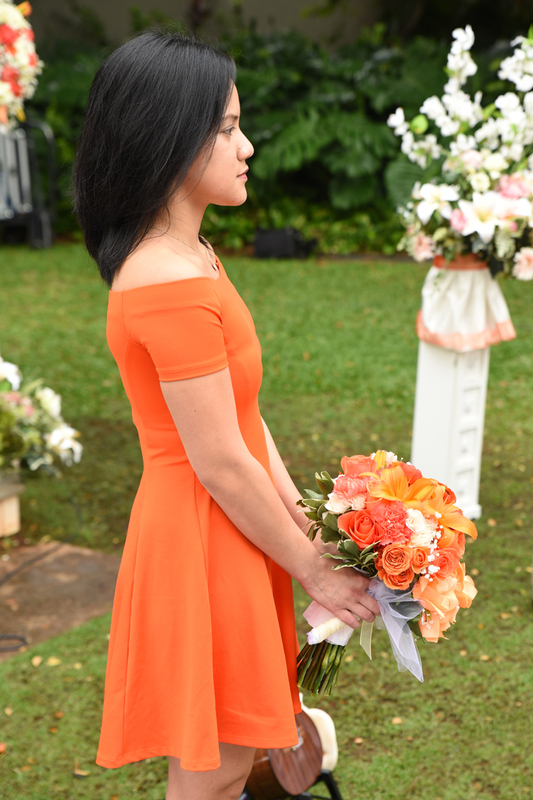 See HITOMI at our Hawaii Brides photo gallery. 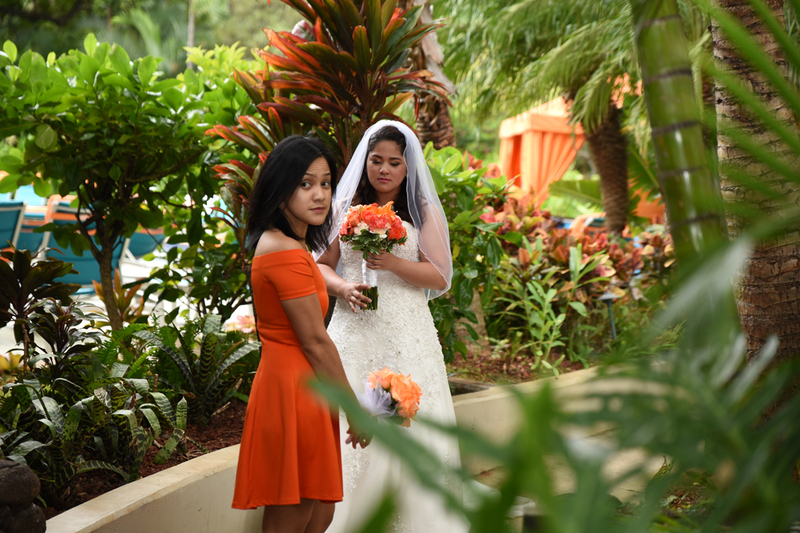 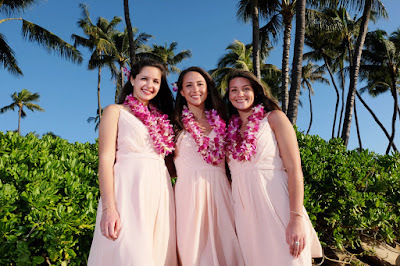 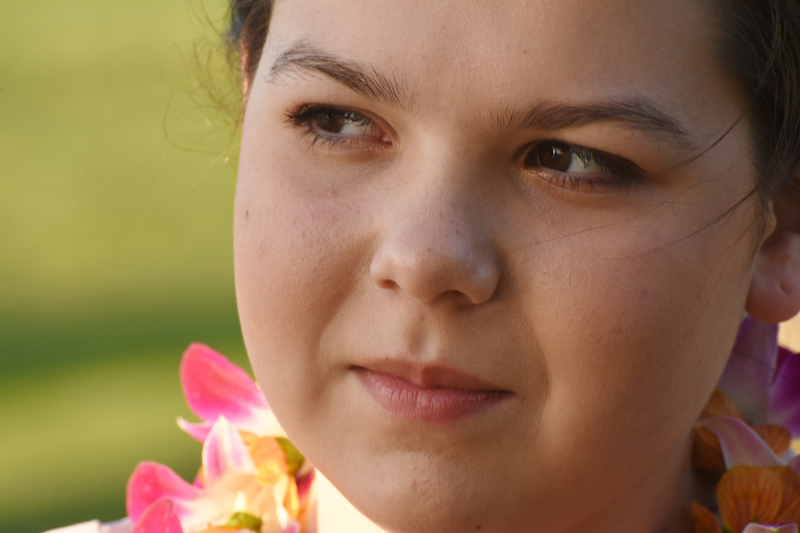 Three young daughters at Mom and Dad's wedding vow renewal in Ko Olina. 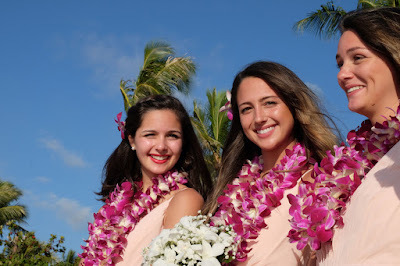 Teen daughter of Erika and Tyler is our first bridesmaid of the new year.